Former New England Revolution player Taylor Twellman took a selfie with Groton-Dunstable athletes as a kickoff to the MIAA&apos;s Concussion Awareness Week. The ThinkTaylor (Twellman) Foundation honored the Groton-Dunstable athletic department for being state winner in its campaign. Lepsevich, a Franklin resident and a senior at Montrose School in Medfield, and former New England Revolution forward Taylor Twellman helped the MIAA kick off its second Concussion Awareness week at Groton-Dunstable on Monday. 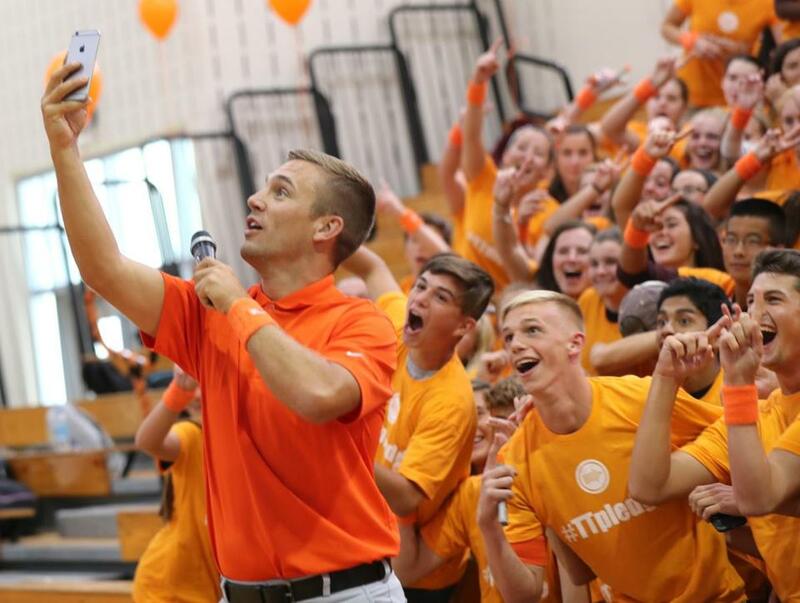 As part of the program, some 86,000 varsity athletes under the MIAA’s jurisdiction will receive orange wristbands and identification cards from Twellman’s nonprofit concussion awareness organization, ThinkTaylor. Coaches across the state also will have discussions with their student-athletes about the dangers of head injuries and the warning signs. Twellman, Major League Soccer’s most valuable player in 2005, was the league’s most prolific scorer from 2002-08, when a series of head injuries put an abrupt end to his career. He left soccer disenchanted with the state of the concussion rehabilitation apparatus. Every specialist he visited, it seemed, had a different diagnosis. Six years later, in 2014, without the medical resources and outlets afforded to a top-tier professional athlete, Lepsevich faced similar frustrations. During a soccer game in September, as part of a wall protecting the goal from a free kick, she took a shot to the right side of her head, fell and smashed the other side of her head on the turf. It happened so quickly she hadn’t had a chance to react. The first thing Lepsevich remembers is her ears ringing. She said yes, picked herself up, and stayed in the game. Ten months later, she often needed help walking. After visiting a carousel of doctors with conflicting opinions, she was finally told she could never play soccer again. 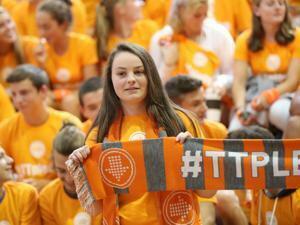 Lepsevich rehabilitated her brain and body — she says she’s at 80 percent now — and has hooked up with ThinkTaylor to bring her message of concussion awareness to other high school students, like she did Monday. Montrose School senior Sarah Lepsevich, who suffered a concussion and brain injury as a sophomore playing soccer, helped kick off the MIAA's Concussion Awareness Week at Groton-Dunstable Regional High on Monday. Griffin Connolly can be reached at griffin.connolly@globe.com.